FALL CLINICS ARE BEING OFFERED IN HUNTERSVILLE, CORNELIUS, & KANNAPOLIS! SIGN UP NOW! This program is designed for high level players who want to take the next step in their development. We work on more complex concepts like double move dodging, getting to 5 & 5, and advanced stick skill work. This is a fast paced, high repetition class designed to work on the advanced skills needed to excel at the highest level of high school and collegiate lacrosse. Players will be placed in an appropriate training group based upon grade, skill, and size. This program, like our elite offensive clinic, is designed for high level players who want to take the next step in their development. There is a heavy emphasis on first step footwork, angle play, and learning how to throw disruptive checks. 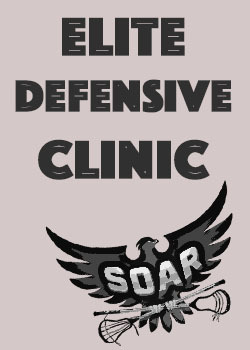 This clinic will equip our players with the tools necessary to transition from a cover defensive player to an impact/take away defensive player. This clinic will change how you look at defense. Players will be placed in an appropriate training group based upon grade, skill, and size. 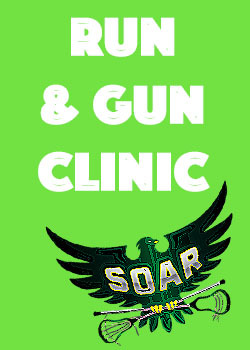 This program is one of our specialty clinics that focuses on the offensive skills incorporated into dodging and shooting. We will break down the mechanics of shooting (both stationary and on the run) in a systematic way by isolating one aspect of shooting at a time. In addition we will break down the footwork and angle play needed to be an effective dodger. This approach helps our players understand the components of dodging and shooting, which will empower them with the ability to make in-game adjustments of their mechanics. 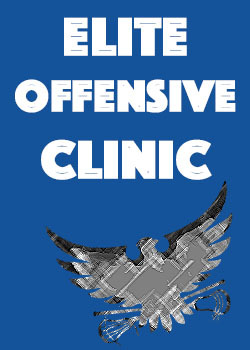 This clinic is a must for any offensive player. Players will be placed in an appropriate training group based upon grade, skill, and size. 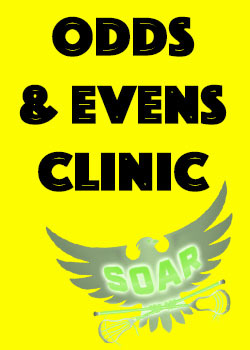 This program is strongly recommended for any player who is new to the SOAR Academy program. We believe our launch program is the foundation of our SOAR Academy, because we teach/review the proper techniques and fundamentals of lacrosse. It's vital that our players have formed good habits and are fundamentally sound before we allow them to train in our more specialized clinics. (Some Players will be recommended to repeat the Launch Clinic if our staff feels it will be good for their development) Players will be placed in an appropriate training group based upon grade, skill, and size. 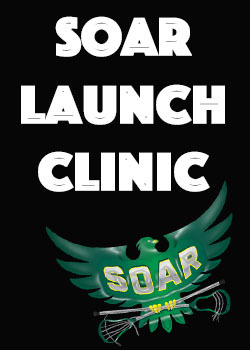 This program is designed to take the next step after players complete the Launch Clinic. We will touch upon more complex skills and concepts and drill them in game like situations. This clinic is designed to focus heavily on skill work in the first 30 mins (Learn), and then transitions into more live game like scenarios where we can put what we learned into action. (Play) This is a great clinic series for a player who is looking to expand their fundamental skills and begin to learn higher level skills used in high school and college. Players will be placed in an appropriate training group based upon grade, skill, and size. 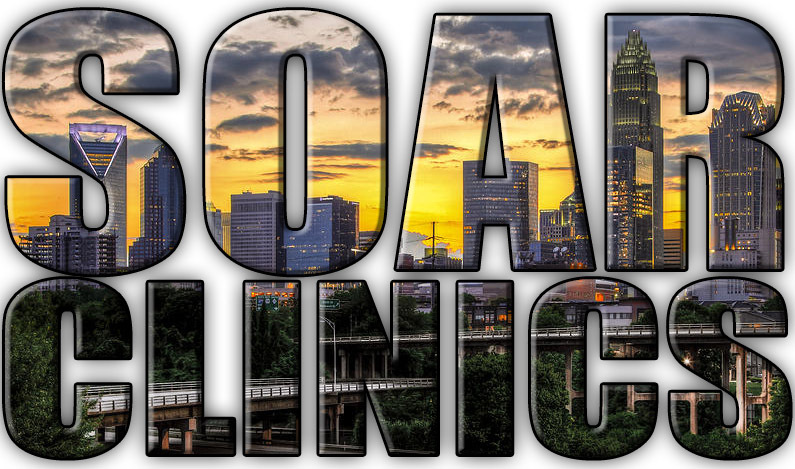 This program is another one of our specialty clinic series. This clinic takes an in depth look at how to properly execute odd man and even man situations on the lacrosse field. (1v1's, 2v2's, 3v3's, & 2v1's, 3v2's, 4v3's) We focus on creating high quality shooting opportunities in an isolated 1v1 game situation. In addition, we teach off ball activity and how to create for your teammates in 2v2's, 3v3's and odd man situations. From a defensive perspective we make sure we are dictating 1v1 match ups by using good angle play and taking up good space in odd man situations. 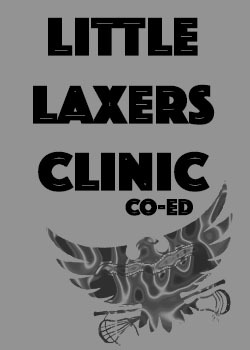 This clinic dramatically increases our players lacrosse IQ's by breaking down all aspects of even and odd man scoring plays. Players will be placed in an appropriate training group based upon grade, skill, and size. This program is designed for Kindergarten, 1st, & 2nd Grade players and introduces the game to players through competitions, races, and games. Each session will start with a focus on a particular skill in a heavy repetition drill format. We will then build on that skill by incorporating it into a high paced group activity. 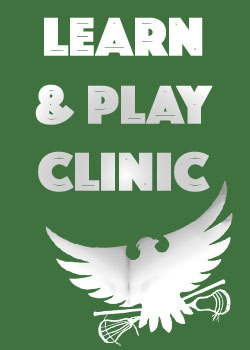 This clinic series is designed to introduce and equip our players with the basic skills of the game and will help foster a love for the sport of lacrosse that lasts a lifetime. Players will be placed in an appropriate training group based upon grade, skill, and size.